So, the clocks have sprung forward and Apple's event is now underway. We'll get to find out more about the highly anticipated Apple Watch, finding out all-important details such as how long the battery is going to last between charges. What's happening, in reverse order -- start at the bottom and work up! Shipments start on April 24. Apple Watch is available for pre-order starting April 10 -- you'll also be able to try them out in store from this date. So even after all of this time, there's still anotehr months to wait for a proper hands-on! Oh... and that $10k is the starting price. Not quite clear what the upper limit is yet. Utterly, utterly mad. Completely mental. The Edition is a limited edition model. Start saving if you want one. $10,000 is the price tag! Next -- "Apple Watch Edition is crafted from 18-karat solid yellow or rose gold." Apple Watch is the stainless steel version. 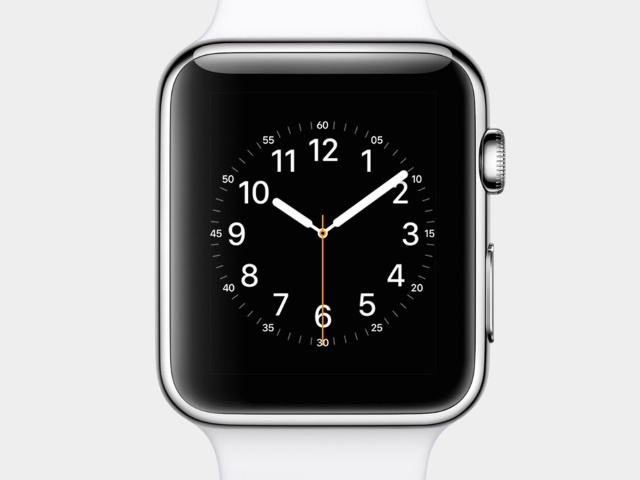 Prices start at $548 for the 38mm model, $599 for the 42mm version. But these are starting prices. It climbs all the way up to an eye-watering $1,099. The Sport is the 'affordable' Apple Watch. 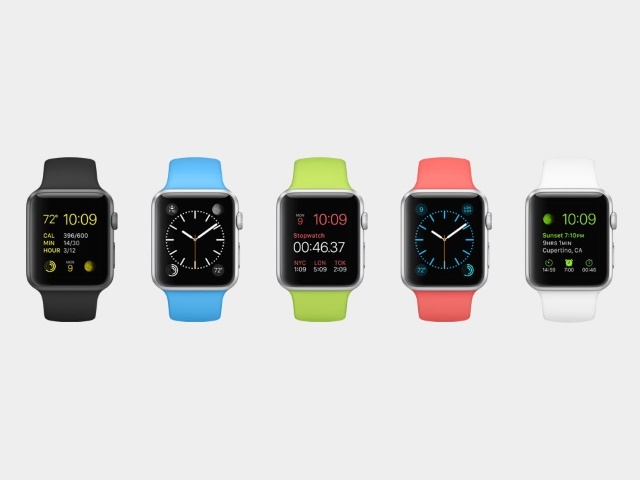 Two models to choose from here: $349 for a 38mm version and $399 for the 42mm edition. Apple could learn from Basis and come up with a charger than can be used while the watch is being worn. There are different ranges to the Apple Watch lineup: "Apple Watch Sport has cases made from anodized aluminum in either silver or space gray". Oh -- 18 hours of battery life. This is 'typical' usage. I'd be interested to see how this translates into real world usage. Apple Watch is a platform -- app developers are going to have to come up with the goods here to help sell it. 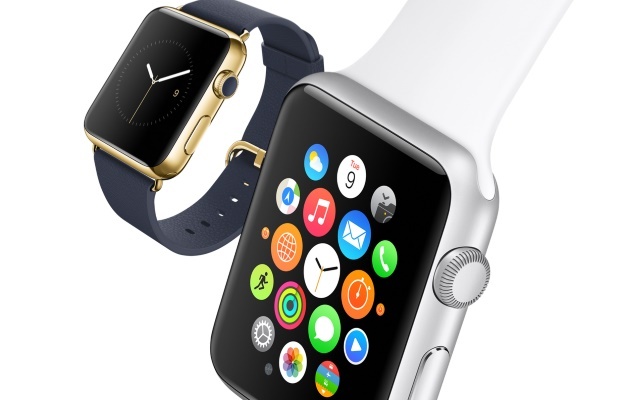 Apple Watch is undeniably cool, but do you need it? Not by a long chalk. Unless the battery life turns out to be INCREDIBLE, there's really not much reason to supplement your phone with this. If my watch told me to stand up, I would smash it. Getting directions via your Apple Watch and using it as a boarding pass for your flight seem cool. This is very much about what Apple Watch can do for you, rather than what it is. It feels unfocused, though. Apple is keen to make a success of Apple Pay -- double tap the side button on the Apple Watch to pay for something in store. I mean... it's a nice idea, but practically speaking? Talking to your wrist? I'll leave that to the kids in the playground, I think. Siri is just a tap of the crown away. Get ready to look like a head case by talking to your watch. There's a Twitter app, of course. We're back.... notifications. If you can get a particular notification on your iPhone, you can get it on your watch. 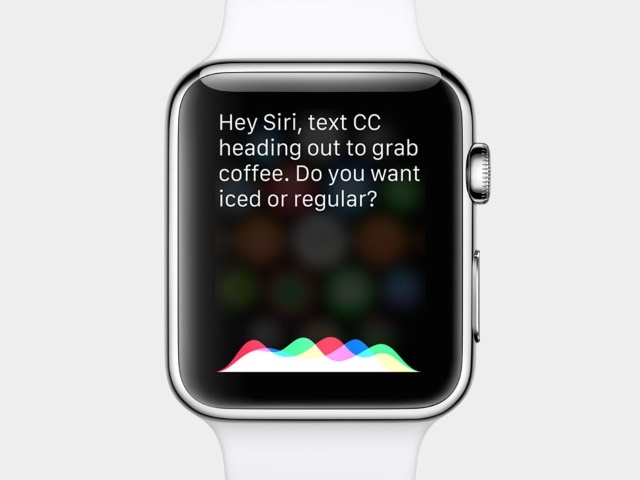 Prepare to be inundated with Candy Crush Saga requests through your Apple Watch. This marathon running talk in painful. Make it stop! Lots of guffy padding. Cut to the meat! Apple Watch will nag you. Not only will it monitor your movement, it'll complain at you if you've been sitting for too long. The machines are rising up, people. The touch screen can be used to send drawings to your friends -- what you draw on your screen appears on theirs. I'm sure this won;t be abused in any way whatsoever. There's a built in microphone and speaker so you can look like you're in Star Trek and take calls through your watch. Or look like an idiot. Your choice. 'Glances' are used to check things on the Watch -- like health monitoring stuff, and the like. It tells the time, natch, lots of faces to choose from, and also widgets to allow the Apple Watch to be tailored to your needs. "Apple Watch is designed to appeal to a broad range of personal styles. Because what you wear is an expression of who you are." "Apple Watch is the most personal device we've ever created." 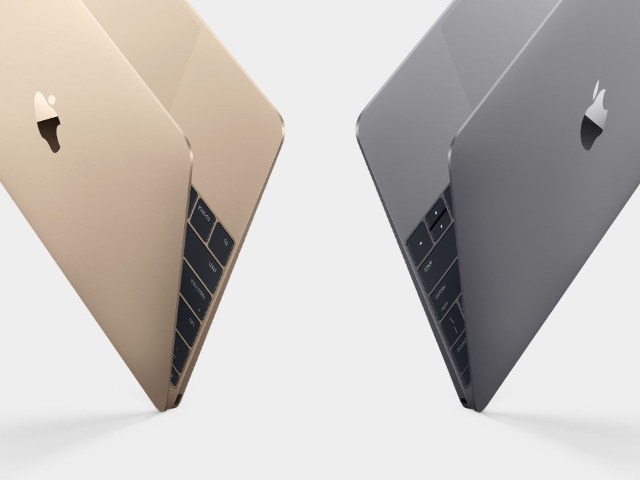 The new MacBook will be available in a month -- 10 April -- starting at $1,299. Mr Ive is justifiable chuffed with the look of the MacBook. It is a stunner -- although the gold version is not going to be to everyone's taste. You expect battery life to be impressive, and you'd be right. Apple promises all day battery. All. Day. Or 10 hours of video playback. It's fanless, so no worries about noise, processor uses just 5 watts. These are the facts, folks. There's also feedback through the Taptic Engine. A lovely touch. We've seen it in mice, but it's surprising that it has taken so long to come to laptops. The entire trackpad is pressure-sensitive. Lots of applications here -- artists will enjoy this. The trackpad isn't just big -- it has Force Touch. This means no clickable buttony bits, it's all done with touch. Support for new gestures including the intriguing-sounding Force Click. WT actual F? The display is less than 1mm thick! LED under every key for even lighting, 12 inch, 2304 x 1440 Retina display. It's a looker. That trackpad looks massive. There's a redesigned keyboard that makes the best possible use of space -- the keys go right to the edge of the MacBook. And 13.1mm is pretty darn thin -- 24 percent thinner than the MacBook Air. OK. 2 pounds. That's light. Can't argue with that. Lightest MacBook ever. Next up.... MacBook. And it's gold. Uber thin and uber light also if Tim Cook is to be believed. It's launching in April and there are five apps available right now -- Breast Cancer, Diabete, Parkinson's Disease, Cardiovascular Disease, and Asthma. ResearchKit is open source, so we can expect to see all manner of other apps popping up in the future. ResearchKit can be used to help tackle the likes of Parkinsons. It's hard to argue with tech being used for things lik that. Opt-in data monitoring, and you can keep an eye on what's being tracked in real-time. Fair enough, really. Expect to see more Apple not just in your car, but in your home, and looking after your health too. Who would have though the iPhone would become a medical research tool? Lots of Appley self-congratulatory stuff here. Apple Pay is ace, CarPlay ditto -- and this latter tool will be found in more vehicles very soon. Time Cook tells us that (almost) everyone -- 99 percent -- loves their iPhone 6. Will the same be true of Apple Watch? My question, not his. Apple TV drops in price to $69 -- becomes all the more tempting for would-be cord-cutters... and everyone else. We've heard a lot about what to expect from the Apple Watch. A battery that could need charging after just a few hours of use, apps that have to fulfil their function in 10 seconds. Tim Cook is keeping the tension building. Forget jumping into what everyone is here to hear about, first there's news of a new streaming service -- HBO Now (it goes without saying that this is US-only).